Members of the Desert Hearts Crew â Deep Jesus and Pork Chop âreturn to the Vail Valley to play some deep and techy underground beats at Agave in Avon on Friday, Feb. 3. Deep Jesus, aka Ryan Orey, is known primarily as one-fifth of Desert Hearts, a ragtag group of DJs prowling the West Coast festival scene. But more recently, heâs been celebrated as a standout international solo artist with his deep house and techno vibes. Pork Chop, or David Leon, is the wildcard of Desert Hearts. His ability to weave narratives through genres is clear, and he has a knack for dropping tracks that become moments you remember. 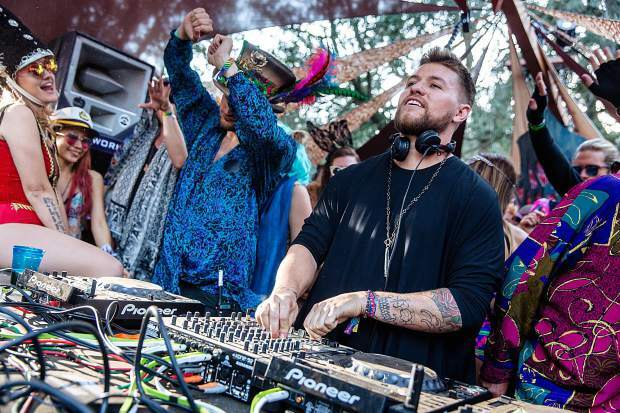 DJ KVLO will be opening, and he describes his sound as âan undefined concoction of electronica, house, techno and everything in between and within.â Doors open at 9:30 p.m., and the show starts at 10 p.m. Tickets are $15. Call 970-748-8666 or visit www.agaveavon.com to learn more. Members of the Desert Hearts Crew — Deep Jesus and Pork Chop —return to the Vail Valley to play some deep and techy underground beats at Agave in Avon on Friday, Feb. 3. Deep Jesus, aka Ryan Orey, is known primarily as one-fifth of Desert Hearts, a ragtag group of DJs prowling the West Coast festival scene. But more recently, he’s been celebrated as a standout international solo artist with his deep house and techno vibes. Pork Chop, or David Leon, is the wildcard of Desert Hearts. His ability to weave narratives through genres is clear, and he has a knack for dropping tracks that become moments you remember. DJ KVLO will be opening, and he describes his sound as “an undefined concoction of electronica, house, techno and everything in between and within.” Doors open at 9:30 p.m., and the show starts at 10 p.m. Tickets are $15. Call 970-748-8666 or visit http://www.agaveavon.com to learn more.